NEW YORK (AP) — Is seeing life through rose-colored sunglasses right for you? It might be if you're a fan of early-morning bike rides, if you're a commuter at dusk or you happen to live in a largely overcast climate. Choosing new summer shades is more than an issue of flattering frames. There are decisions to be made about the lenses, too, and there will only be more in the future. Things to think about: Are your sunglasses more for performance or fashion? (You don't necessarily need to choose.) Are you concerned about glare or definition? Do you want a curved lens that provides maximum coverage or a flatter one that allows more peripheral vision? Will gray, green or rose be a better match for your lifestyle? Each is best suited to handle particular conditions and activities. "Lenses can affect — and can enhance — performance. Sports performance is the biggest category for shopping by lens color and treatments, and most fashion lenses are still browns and grays," says Dr. Justin Bazan, a Brooklyn optometrist and medical adviser for The Vision Council, a trade group for the optical industry. "I can imagine it happening, though, that the tint options that have exploded in sports will soon come to fashion purchases." 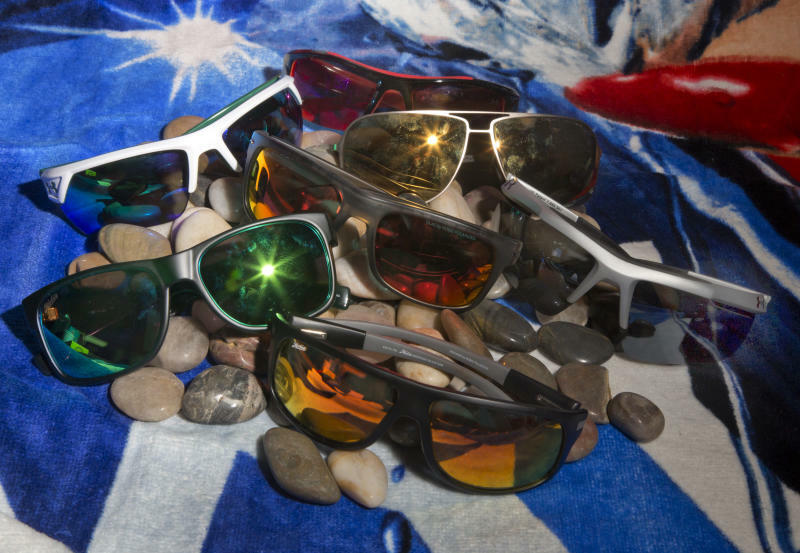 Customers, he says, are becoming more educated about ultraviolet light — largely because of great strides in sunscreen use, and they are aware that the technology exists to improve sunglass lenses. People are very aware overall about protecting themselves from the sun. "Educated consumers help us," adds Vedovotto. "People who care about the lenses, they need — they want — perfect vision." That probably explains why athletes are the most demanding, says Bazan. "For those people who are very competitive, they'll look for anything that gains an advantage." Enthusiasts of water sports, including surfing and sailing, are Hobie Polarized's most discerning shoppers. And when it comes to lenses, they want anti-reflective coatings, another coating to shed water and the evenness — almost flatness — of polarization, says Dustin Mora, senior product line manager. Polarization makes sense for many runners, beach-goers and drivers because it will reduce the glare of light coming from the water, road or sand, he explains. They're good for fishermen who need to see beneath the surface. Sammy Bryant, retail business developer for Adidas Eyewear, says golfers also steer away from polarization because peripheral vision is important on the greens, and a lens with that treatment will have a more noticeable difference between what you see through the glasses and the corner of your eye. The curve of a lens is going to matter, too, Bryant says. It's measured on a scale of one to 10, he explains, common for reading glasses — which are pretty much straight from end to end — at a five, and ski goggles at a nine. Higher numbers give better protection and cover a wider range of view, but curve can add some distortion. 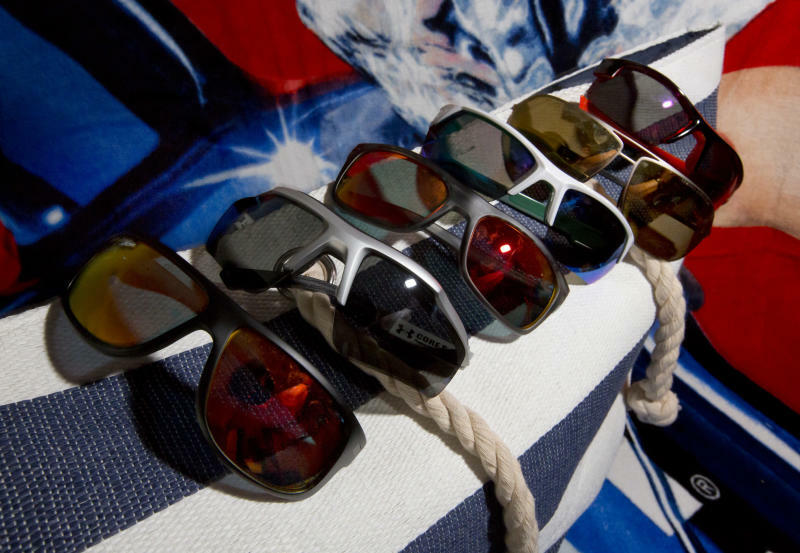 Color is also a factor, according to Nick Gomez, senior product manager of Under Armour Performance Eyewear. While green lenses might be good for the ball field — there's better balance of background and the target object — brown ones are good for hiking or mountain biking because they offer improved depth perception, he says. Generally, gray lenses, maybe with a hint of green, block the brightest rays, and brown are almost as effective but have a slightly warmer effect. Gomez says brown might be the most versatile. Mirrored lenses, which are, of course, only mirrored on the outside, can be an additional layer of glare perception, notes Bazan. They are less likely to change color perception, he says. "Personal preference is what's going to drive this. You have to try them on," says Bazan. "There definitely is a performance factor, and there's word of mouth and people are paying attention to what top-level athletes are using, and fashion purchases are largely driven by designer names, but you have to put them on and look outside."